Success is a habit – Winning is a habit and having achieved outstanding results in Rugby League both as a player, coach and in administration, Steve came into the Real Estate industry with a great foundation and most importantly a great attitude. 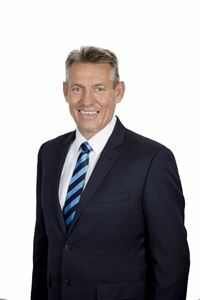 Since joining Harcourts in September 2005, Steve has become a member of Harcourts prestigious top 10 Real Estate sales consultants in Queensland and has received numerous awards, including the companies’ highest sales award, the Platinum Sales Achievement Award and most recently the Diamond Pin Award ($60 million dollars in sales). Steve has developed a reputation for superior customer service through his commitment and dedication to achieving winning results for his clients, having listed and sold properties raging from the lower end of the market to well into the millions. Having moved to Redcliffe in 1980 to pursue his Redcliffe Dolphins Rugby League career, Steve has lived in several locations on the Peninsula for over 35 years and knows the area intimately. Buying, selling, renting, sub-diving and building have driven Steve’s keen interest in the local Real Estate market. You can count on Steve to offer a blend of expert advice, in-depth market knowledge, with an open and honest opinion – to help you make informed decisions about your most valuable asset. Becoming Business Owner in 2011, Steve is very proud of his Redcliffe Harcourts Sales, Property Management and Administration Teams’ success and dedication, who continually strive to offer outstanding customer service, maintaining the highest professional standards.